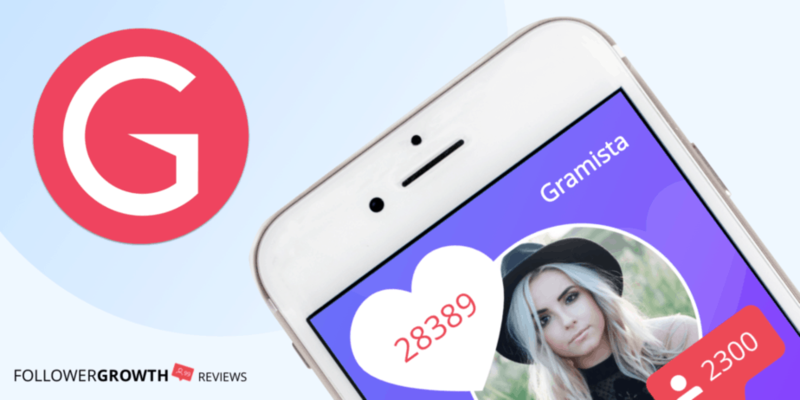 Gramista Review: Is it Really the Best Tool for Instagram Growth? In this Gramista review we’ll discuss the following topics: how Gramista works, it’s features, prices, pros & cons, my final opinion, and if there’s a better alternative for your needs. There are a lot of Instagram management tools out there, so picking the right one is a challenge. To save you time (and cash!) I went ahead and tried out Gramista, so you don’t have to. Gramista claims to be the most efficient Instagram automation tool out there, but is that accurate? If you’re looking for a tool that makes your Instagram marketing easier and quicker, Gramista might be worth a look. I went ahead and created an account, linked it to my Instagram, and let the scripts run for the 12 hour free trial period. Continue reading to find out what happened. Warning: There is a risk using bots for Instagram, or any social media platform for that matter. If you use these programs too aggressively, there’s a chance your Instagram account will be banned or disabled. Therefore, it’s important to proceed with caution. Before diving into the details, there are a few things you need to know. Gramista, like most Instagram automation tools, uses a proxy to generate activity on your Instagram profile. The problem is this proxy is not the same as the IP Address on your phone or computer. So if you’re using Gramista, it’s best to avoid interacting with your account on any other devices. Nevertheless, Gramista counters this issue by placing a limit on new Gramista accounts. The new accounts (3 to 4 weeks old) are limited to Slow and Normal feature speeds. First things first, let’s walk through the initial steps. Creating an account with Gramista is a walk in the park. They only need your name, email address, and a password. Gramisa offers a free 12 hour trial period. You would expect at least a few days. From what I can see, the reason for the 12 hour period is because the tool is meant to always be active. The features are always running the background (and we’ll talk about those features in a second). The good news is the 12 hour counter only goes down if you’re running the scripts. 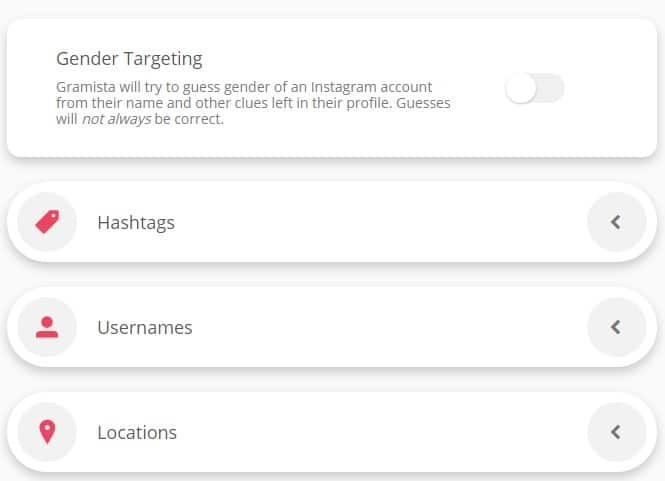 Once you create a Gramista account, a prompt will appear asking if you want to connect your Instagram account by entering your Instagram login information. They might request a email or SMS verification to confirm you’re the account holder. When everything is connected, it’s time to start using the features. 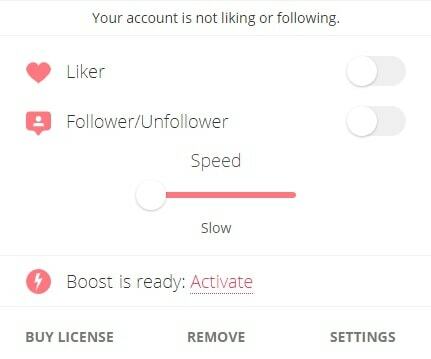 Gramista offers two core automated features: Liker, and Follower/Unfollower. You can also select the desired speed to complete these actions; Slow, Normal, or Fast, the latter is not recommended. Let me explain how these features work. There are a couple of other automation tools you can consider, if Gramista doesn’t sound like your cup of tea. Instead of running automated scripts on your account, Upleap uses a different system. The tool matches you with a personal (human!) account manager who is dedicated to growing your account. Kenji is another interesting Instagram tool powered by adaptive AI technology that learns from accounts it interacts with. The upside of this tool is it’s much cheaper than Gramista, only $19/month, and offers similar features. You’ll need to add a target audience. To add a target audience, head over to the settings menu. On this page you’ll find four ways to narrow down your audience: gender, hashtags, accounts, and locations. Use these options to build a targeted following. I recommend filling in these details first, otherwise the scripts won’t know which accounts to interact with, or you’ll end up with a ton of random followers. The Target-Account feature is particularly useful as it will program the script to only interact with the followers of a specific account, a great way to build a target-audience. The Liker feature is rather self-explanatory, it’s a script that interacts with other accounts by automatically Liking images. The script searches for accounts based on the target data you entered, and likes their most recent images, from your account. I left this on for a couple hours, and I thought nothing was happening until I checked my Instagram app. Turns out I was getting over 50 Likes on my recent images. The problem is I can’t tell if these are real accounts, as they look rather suspicious (I’ll explain why later on in this review). The Follower/Unfollower feature is the core service of Gramista. One of the most common methods used to grow accounts on social media is by mass-following accounts, waiting for them to follow you back, and then unfollowing everyone who doesn’t follow you back. Gramista automates this process for you. In the settings menu you can choose how many accounts the script should follow or unfollow in each cycle, the default value is 1,000. The script will run every few minutes, and the smart mode will keep patterns unpredictable, so Instagram won’t ban your account for using a bot. The Boost function doubles the interaction the scripts have with other people’s accounts. Essentially it jacks up everything to maximum. Generally, it’s only recommended to use this feature from time to time, as Instagram’s algorithms are good at detecting spam-like behavior. Both scripts (Liker and Follow/Unfollow) run on a cycle, and the length of the cycle varies depending on the speed you select. I wasn’t able to determine exactly when a cycle occurs, but it looks like the script chooses the best cycle period for you. Most of the time, it’s random. While watching my Live Activity, it looks like my account followed one to two users every few minutes. This mode is supposed to use advanced AI to imitate human-like behavior on your Instagram profile, so you don’t need to worry about being banned. Unfortunately there’s no way to see exactly what the mode is doing on your account, behind the scenes. You can choose the amount of accounts to follow during every period (I recommend keeping this number low) or turn off the feature. The Gramista payments plans are a little different. Instead of offering a flat monthly subscription plan, there are multiple single packages. The 30-90 day packages include extra features not found in the other packages. For instance, unlimited use of Liker and Follow/Unfollow features, more targeting options, and unlimited support. There’s also the feature to activate a custom plan that allows more than one Instagram account, but you’ll need to contact support to sort out the details. Gramista is moderately priced, more expensive than some similar tools, but cheaper than others. Personally, I like their short packages, one or three days is usually enough to get the feel of the tool, without spending too much cash. The downside is Gramista only supports one Instagram profile, per account. Even the more expensive plans don’t offer support for multiple Instagram accounts, unlike other Instagram bots. Nevertheless, it’s also important to remember that time added is not necessarily used unless the scripts are active. In other words, you can purchase a 1 Day package, and that would be 24 hours of run-time for the features. It’s a countdown. Personally, I like this system because you can drag out a 1 Day plan to several days, or even longer, by only activating the scripts for a couple hours a day. Essentially, it’s like adding a timer to the account. After trying out Gramista for 12 hours, here’s what I liked about the tool. I was surprised by how easy it is to use Gramista. It automates practically everything for you. The only thing that you need to do is enter your Instagram login information, then flip the switch on the features you want to use. Everything runs in the background. When I first connected my account (and enabled the features) I was expecting to see some kind of account activity in the dashboard. Turns out there’s a button labeled recent activity that shows what the bot is doing on your Instagram account. If the Follow/Unfollow feature is enabled you’ll see how many other accounts your account is following in this section. The recent activity feed also shows when your account is resting but it doesn’t seem to show what your account is doing on other profiles (we’ll get into that in a second). As mentioned earlier, I like how the packages are based on a use-countdown, instead of a set period of time. Even though the time on the smaller packages seems quite short (1 Day, 3 Days, etc) it can be dragged out for much longer than that. On the flipside, here’s what I think Gramista could improve. Currently, the Gramista dashboard consists of your Instagram account name, and the switches for the scripts; nothing else. I would like to be able to see details about my Instagram account inside the Gramista dashboard. Not much information is provided regarding what the bot is doing with your account. To expand on the point earlier, the recent feed seems to only show the accounts the bot followed for you, not what it likes on your behalf. When I checked my Instagram app, I noticed I was getting a lot of likes on my pictures from random accounts. I assume this was because of the Liker feature. Logically, if my account is getting likes, there’s a good chance it’s liking a bunch of other accounts too. But there’s no way to see what images that bot is liking from your account. It would be nice if you could see all the activity generated from the scripts, in one place. In Gramista support, it mentions you shouldn’t interact with your account from the app when the tool is active. The reason for this is because Instagram will likely notice there are two IP addresses making changes to your account at the same time, and that’s a bit suspicious. This is very important. But for some reason, it’s not listed in the dashboard or settings pages, so most people find out the hard way. It would be a shame to have your account banned for a small mistake like that. In short, leave the app alone. Don’t try to follow or unfollow accounts from the app when your logged into Gramista. It’s also a good idea to avoid using any other Instagram tools in combination with Gramista, as it could lead to your Instagram account being flagged for spam. One tool at a time. Conclusion: Is Gramista Worth It? After using Gramista for the 12 hour trial period, I feel I have enough information to share my opinion here. Unfortunately, my experience with Gramista wasn’t great. Though my Instagram account did grow, most of the followers were random, and I’m not sure if they’re real accounts, either. The Liker feature did generate likes on my account, but once again, from random accounts that look rather suspicious (numbers in their handles, duplicate images on their account, non-English bios, etc). Though you might think following one or two accounts every couple of minutes is slow, it’s actually faster than manually following accounts. The reason for this is because Instagram accounts have a set limit of actions per day, especially the newer accounts. These actions include all activity (liking images, leaving comments, following accounts, etc) and you can easily reach the limit, if you’re not careful. Smart mode is quite useful for this purpose. Additionally, the Gramista dashboard doesn’t provide detailed information about your Instagram account. Not to mention you can’t see all the activity the bot is conducting on the platform for you. I felt a little weary having a bot accessing my account and interacting with other random accounts. Suffice to say, I wasn’t a big fan of Gramista. Nevertheless, if you want as much interaction on your account as possible, there’s no harm letting the bot run on Slow mode overnight. To summarize the alternatives, if you want a human-touch, I would go with Upleap. They’re account managers are professional and know the inner workings of marketing on Instagram. They offer a 3-day free trial where you don’t need to add any of your credit card details. Check them out here! On the other hand, if you’re looking for a smart and cheap bot to generate activity on your account, KENJIis the right choice. You can try out KENJI’s free trial here. Thanks for taking the time to read this Gramista review. Leave a comment if you have any questions or want to share your experience about Gramista!